2018 was the year in which Netflix plunged headfirst into the world of romantic comedies, producing films which ranged from heartwarming masterpieces like 'To All The Boys I've Loved Before', to some more questionable films such as 'Sierra Burgess is a Loser'. 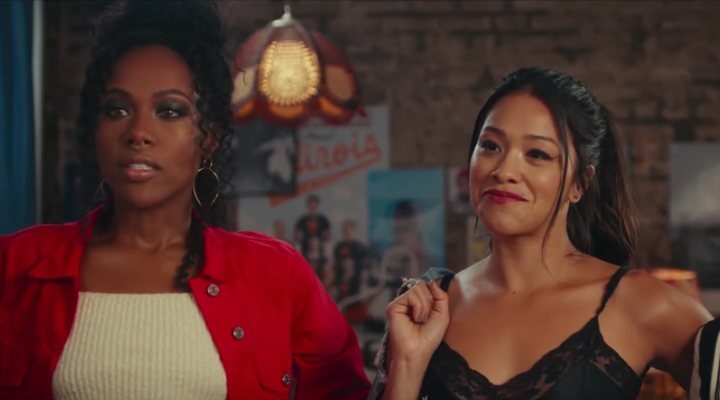 Like it or love it, the Netflix rom-com train is only just picking up steam and this year promises even more welcomely cheesy, Noah Centineo-filled Netflix originals to help you get your romance fix. Last month, coinciding with Valentine's Day, the all-new rom-com spoof 'Isn't It Romantic', starring Rebel Wilson, Liam Hemsworth, and Adam DeVine, was released on the platform. Directed by Todd Strauss-Schulson, the film follows romantically cynical New York architect Natalie (Wilson), who suffers a head injury and awakens to find herself living in an alternative rom-com universe. The film self-consciously pokes fun at the traditional cheesy tropes of the genre (from the clichéd love triangle, to the handsome and brooding stranger), while humorously playing into them all. Thanks to Wilson's effortless charm, this film makes for the perfect lighthearted, feel-good afternoon. And what would a Netflix romantic be without the appearance of golden-boy Noah Centineo? The actor returns to the platform on 12th April in another classic Netflix original, 'The Perfect Date', made by the same company as the creators of 'To All The Boys I've Loved Before'. The film also stars Laura Marano ('Lady Bird') and Camila Mendes ('Riverdale'), and will be directed by Chris Nelson. Netlfix recently released their official plot summary: "Brooks Rattigan (Noah Centineo) has the academic chops to get into his dream Ivy League school, but what he's missing is an outstanding extracurricular... and the money. When he seizes on an opportunity to make some extra cash by posing as the boyfriend of a self-assured, combat boot-loving girl named Celia Lieberman (Laura Marano), he finds he has a knack for being the perfect stand-in. Together with his programmer friend Murph (Odiseas Georgiadis), Brooks launches an app selling himself as a plus-one for all occasions. Along the way, he meets the girl of his dreams (Camila Mendes). But when business starts to boom, Brooks must reassess everything he was once sure of." Following sensations such as the 2018 drama series 'Élite' or the internationally acclaimed 'Money Heist', the platform is placing its bets on more Spanish original content. Also to be released at the start of April is new Madrid-based rom-com 'Who Would You Take to a Deserted Island? ', featuring 'Money Heist' stars María Pedraza and Jaime Lorente, as well as Andrea Ros and Pol Monen. There is no rest in the Netflix headquarters this April; at the end of the month 'Jane the Virgin's Gina Rodriguez will star in girl-power comedy 'Someone Great', written and directed by Jennifer Kaytin Robinson, and executively produced by Rodriguez herself. The film follows young music journalist Jenny who is given a once-in-a-lifetime opportunity to follow her dreams in San Francisco. When her long term boyfriend ends their relationship over the move, Jenny and her girl friends (Brittany Snow and DeWanda Wise) get together to heal her broken heart. If this wasn't enough to get you excited for what is to come on Netflix, other titles have also been dropped as upcoming releases. Indian romance novel 'Cobalt Blue' is being brought to the small screen later this year, as well as 'Elisa & Marcela', a lesbian romance based on a real love story, in which two women in Galicia illegally married at the start of the 20th Century. In 2019 Netflix is shaping up to be the ultimate place to quench your lonely soul'd thirst for romance, so get your tissues and ice cream at the ready.